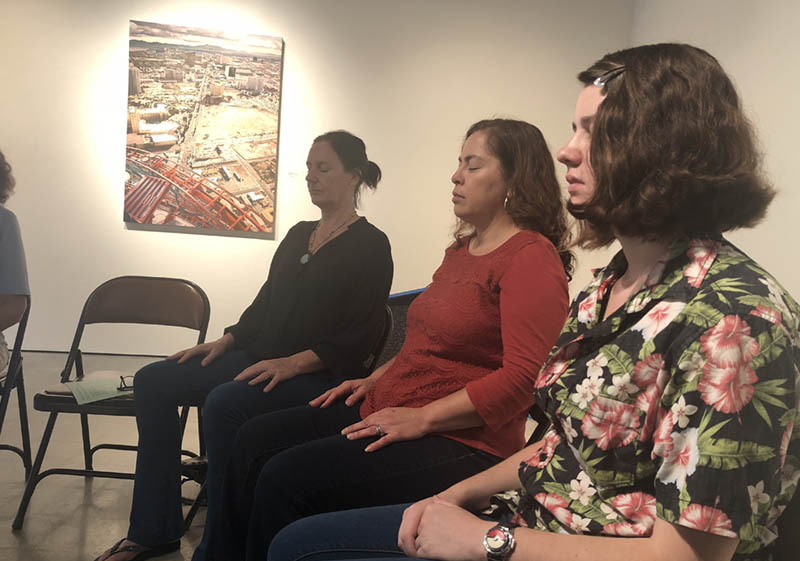 This fall Fullerton College added more opportunities for students and staff to practice regular mindful meditation through the Mindful Mondays and Tranquil Tuesdays session series. Tranquil Tuesdays were added to the mix of sessions this year as a way to get more students and staff to participate. 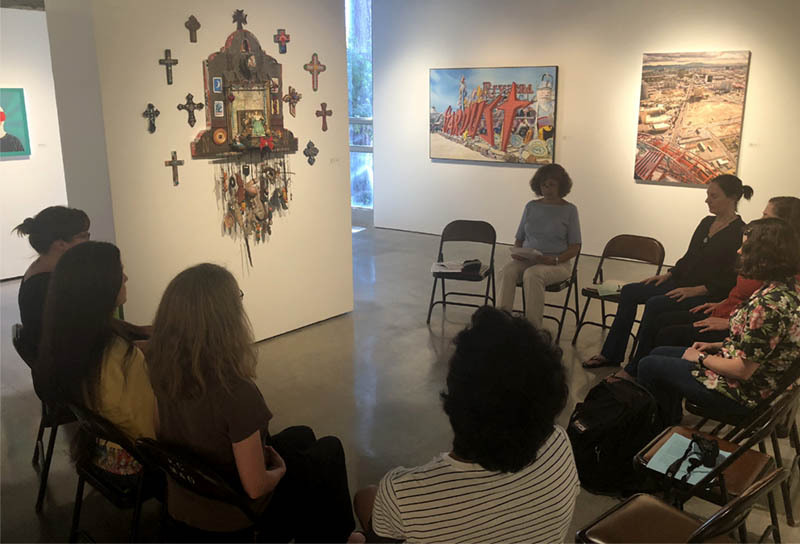 The sessions are a product of the Mindful Growth Initiative which began in 2016 and fosters contemplative practices and growth opportunities to develop equity, student success, individual well-being, and community. 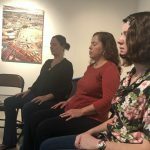 “We saw a need to serve an evening population and to add a different day to the schedule,” said Lynette Pratt who serves as a counselor and instructor in the Adaptive Computer Lab and one of the facilitators of Mindful Monday sessions. To date, the combined sessions have seen more than 370 people practicing meditation; a combination of students and staff. 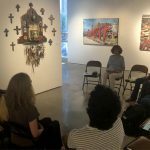 Pratt said the sessions were held in the Art Gallery to provide a space of tranquility among the various art exhibits showcased throughout the year. Pratt said attendees have shared written feedback about how the sessions have helped with de-stressing and learning how to control breathing while focusing on positive affirmations. “I feel very relaxed and ready to do the rest of my day,” said one attendee. Mindful practices during the sessions include sitting meditations, walking meditations, interactive mindful sessions focused on a particular topic such as color in mindfulness, mindful eating and reading, and compassion, to name a few. Pratt said topics and themes are usually determined by the facilitator. This coming spring, Pratt said the program will incorporate student-led Mindful Monday workshops. The final Mindful Monday session of the fall semester is Dec. 3 at 12 p.m. at the Art Gallery. For more information contact Deidre Hughes or Lynette Pratt.